Looking for individual psychotherapy? 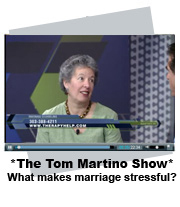 marriage counseling? family therapy? 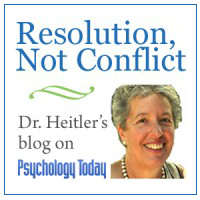 Susan Heitler, PhD, the senior psychologist at TherapyHelp, and her colleagues in Suite 660 aim to offer the very best in individual psychotherapy, marriage counseling, and child and family therapy. We specialize in efficient and effective treatment of emotional and family problems including anxiety, anger, depression, burn out, addiction and co-dependency issues, children’s emotional difficulties, dealing with upsetting situations or decisions, parental alienation and marriage difficulties. Our sunny office suite in central Denver is located on 9th Avenue by Colorado Boulevard at Rose Medical Center, in the physicians office building across from the hospital. 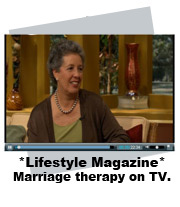 What treatment methods do our psychotherapy and marriage counseling professionals utilize? Our treatment techniques include a broad range of active interventions. The therapists in our suite also innovate creatively. In the following TEDx video, for instance, Dr. Heitler demonstrates one of her visualization techniques. In addition to in-person individual, couple and family therapy we offer online/video/phone treatment for clients who live in Colorado but for whom in-person sessions are not feasible. 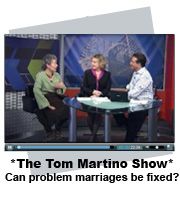 a book, workbook and website that teach the communication skills for a strong and loving marriage. 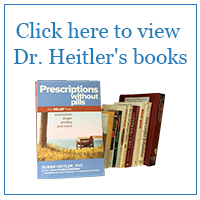 free videos of some of Dr. Heitler’s favorite therapy techniques. The therapists in the TherapyHelp office suite all are independent therapy professionals. Independent therapy professionals means that while we share office space and a waiting room, we are not legally affiliated as a group practice. We do not share legal liability or treatment responsibilities. Please feel welcome to email us via the Contact Us box above or to phone our office at 303 388-4211. When you call us, our friendly office staff, Janet and Teresa, will answer the phones. They are there to answer your questions and to arrange appointments. Janet and Teresa also can help you to decide which of the therapists in our suite you would prefer to work with, and can help you sort through insurance considerations and fee questions. Janet and Teresa answer calls directly on Mondays through Thursdays, 8:45 to 4:30. They respond to Friday messages when they return to the office on Monday. Thank you for visiting TherapyHelp. Note: If you are in need of low-fee or no-fee counseling, Denver has multiple providers. This site can help you to find them.